Bottom Line: Prolessa Duo produces some weight loss. However the cost of the product and the taste of the product are drawbacks. How Does Prolessa Duo Work? Does Prolessa Duo Work, Benefits and Results? Would Prolessa Duo Work with Your Diet? You might need to try a number of different methods outside the framework of the manufacturer's directions to get the best results. The current diet shakes and fitness supplements market is permeated with products from various brands hoping to capitalize on consumer’s hopes of reducing belly fat and controlling their hunger. One such product is Prolessa Duo from Herbalife, a popular multi-level marketing company with several products in the fitness and health industry on the market. Prolessa Duo is a supplemental powder designed to control hunger cravings while reducing belly fat without using stimulants. It is not marketed as a meal replacement shake and, according to my research, should not be treated as such. The product is packaged and sold in two options for the consumer, a seven-day supply at $28.95 and a thirty-day supply at $110.30. Prolessa Duo, as a product, launched in 2011. 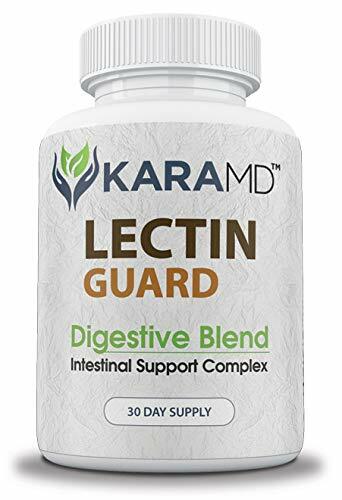 It consists of a blend of palm and oat oil extractions along with the ingredient from which it derives its primary claims for diet and weight loss, a conjugated linoleic acid derived from safflower oil. 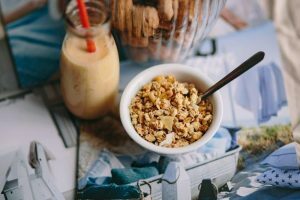 Ingredients in smaller amounts include Sodium Caseinate, a protein found in milk and a food additive used as a thickening agent and soy lecithin, a common food additive for processed foods. The product is marketed as part of a weight-loss program for Herbalife consumers and most of the online product reviews came from consumers interested in losing weight with the product. According to Herbalife, the product works as a weight loss supplement without stimulants like caffeine because of its primary ingredient, conjugated linoleic acid (CLA) is a polyunsaturated omega-6 fatty acid found in dairy products and beef. There are independent studies with rats that do show a reduction of body fat and increase in lean body mass relative to controls with a conjugated linoleic acid supplemented diet fed to them. 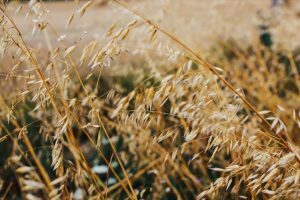 Additionally, oat oil has independent research supporting its effectiveness as an appetite suppressant. Palm oil has not been shown to have positive effects on weight loss but does contain both saturated and unsaturated fats, vitamin E and beta-carotene according to WebMD. Review sites on this product pointed out that Herbalife has not shared any research they may have conducted on the product itself and its weight loss effects on its customers. To find product reviews one has to go to dieting and fitness or product review websites rather than to Herbalife’s website. The reviews on the product’s efficacy are mixed. Some reviewers stated that they saw immediate but short-term and very moderate results. Others suggested that very considerable weight loss occurred. On influenster.com I saw a variety of both positive and negative reviews. Not surprisingly, the more extreme weight loss claims on this product review site came from individuals who also distribute the product for Herbalife. The more moderate weight loss claims appear to be more dominant on this discussion board with a few of the reviewers claiming they had no success with this product or negative side effects. Overall the product’s benefit is to support weight loss goals and to help control cravings and hunger. 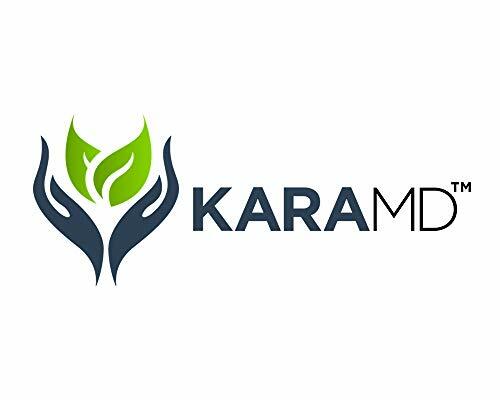 The company touts this product over other weight loss supplements because it lacks dangerous stimulants often used in diet pills but since there is little research available on overall customer satisfaction and weight loss percentages from using this product, it is difficult to determine its effectiveness compared to other products. While the primary ingredients do have some strong independent research backing their effectiveness, it is hard to know if the powder medium at the serving sizes recommended in the company’s directions is the best delivery mechanism for these ingredients to maximize their effectiveness. It is important to mention that this product does not appear to be harmful in any way to the consumer at this point beyond some minor side effects. Cost is an issue with this product for individual consumers reviewing the product and for consumer review sites. Many reviewers and reviewer sites stated that the pricing was excessive for what the product offered at the amount packaged for the consumer. Both Diet Spotlight and dietpillswatchdog.com rate the expense of the product as excessive even when offered at a cheaper rate through other online retailers such as Walmart.com or amazon.com. Taste appears to be a sticking point with this product with users. It was almost universally panned by reviewers, even those who supported the product. And reported side effects were bloating, gas, diarrhea, and dehydration from review sites. These were not very commonly reported though in the reviews I read. Herbalife Prolessa Duo Fat Burner – 30-Day Program is one of the best out there. It has helped me lose weight and feel full. It doesn’t taste very good but if the end result is what you are after this is the product for you. It’s a bit pricey in my opinion but worth every penny. Not a bad product if you’re looking to shed weight fast. Lost a full pants size in one week BUT I did experience horrible side effects. Bloating, gas, abdominal pain and Diarrhea. It was awful. If you can handle dying for a week it’s worth the pain. Pricey but if you sign up as a preferred member it’s cheaper. This product made me even hunger than usual. It didn’t work for me at all and I took it as directed on the label for 30 days. I wasted my money. Won’t buy again. I’ve lost 10 pounds total with this powder combined with my formula 1 shakes. Love this stuff. Amazon is the cheapest place to get it too. I totally recommend. Great product really cut my cravings a lot and I’m losing the weight nicely. Noticed a little less hunger but no weight change. You are basically buying CLA in powder form and the brand. Although, I do love 2 of Herbalifes Formula 1 shakes, I know some important things need to be added like fiber for them not to be a complete waste. But I gotta say Prolessa Duo is a waste! You are basically paying for the name and powder form of the supplement CLA! 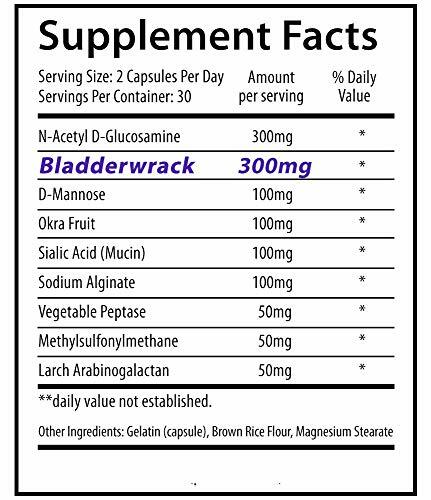 Advice: go to any GNC or vitamin store and buy a bottle of CLA in 1,000mg or higher. It is recommended to take 3,000mg a day with one before each meal. I take 2 in the morning and 1 in the evening. Make sure it’s made from safflower oil. Tada! Cheaper than spending close to a hundred for the exact supplement! Learned this from a dietician. 😉 I usually hit up the sales on CLA when they have the buy one get one free at my local grocery store or GNC! Lectin Shield would work with most diets. However, this product contains soy and dairy and would not be appropriate for those sensitive or allergic to those ingredients or for those who are Vegan. I would not purchase this product based upon what I have researched. For ethical reasons related to the severe environmental destruction of crucial habitat for endangered species and contributions to greenhouse gas emissions, I avoid purchasing and consuming palm oil. Additionally, I do not consume products with soy lecithin in them and try to avoid soy generally in my diet. Finally, if I were interested in the primary ingredient advertised, conjugated linoleic acid as a potential non-stimulant based weight loss aide, I would purchase it directly in soft-gel form as several reviewers suggested. That seems to be the most cost-effective means for trying the product and I would not have to worry about the taste being as much of a problem. History of the Brand: How Did Prolessa Duo Start? Herbalife was started by Mark Hughes in 1980. He had a 9th-grade education and his mother had died from an overdose of diet pills which motivated him to find safer diet products. He got his start selling Slender Now from Seyforth Laboratories, another multilevel marketing company that ultimately failed and he used the same business model to start his own similar company Herbalife. Within five years the company and Mr. Hughes were successful and in 1986 he went public. Since then the company has weathered various controversies about the efficacy of their product’s claims and has also been referred to as a pyramid scheme. Herbalife sells a variety of primarily nutritional supplements and meal replacement shakes. These can be bundled together in programs from Herbalife or bought and consumed separately. Additionally, they also have a skin care line and protein bars and snacks. Palm Oil–edible vegetable oil derived from the fruit of oil palm trees. Soy Lecithin–a common food additive and binding agent. Lecithin is a mixture of phospholipids and oil derived from egg, rapeseed, milk and soy. Where is Prolessa Duo Manufactured? Prolessa Duo is manufactured by Herbalife, who produces a number of other health supplements. Herbalife products are primarily manufactured in Suzhou and NanjingChina but they also have facilities in Lake Forest California and Winston-Salem North Carolina. Reported side effects were some gas and bloating, dehydration and some diarrhea. All natural doesn’t always mean safe – especially if you’re taking prescription medications that could interact with natural ingredients. There were no other product review warnings besides some food allergen warnings regarding the product having soy and dairy ingredients. Additionally, there are some studies from 2007-2009 reporting an association between liver toxicity and Herbalife products generally. 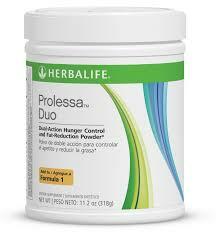 Prolessa Duo is one of many products from Herbalife. The other products offered include superfood powders, supplements, food, books, and more. At this time there do not appear to be any product warnings. However, if you have soy or dairy allergies or sensitivities, avoid this product. CLA—The supplement Conjugated Linoleic Acid often packaged in soft gel form and sold by various brands; prices range from $8.99 to over $150 per container. There are several brands that sell CLA by itself and can be found in your nutrition fitness stores or in your vitamin sections at grocery and convenience chains. Burn TS—a capsule-based product with green tea, chromate and Meratrim, around $60 on Amazon for a 30 day supply.